Cape Coral Cruises - whether you live here or are visiting the Cape, you'll definitely want to get out on the water and go on a cruise! 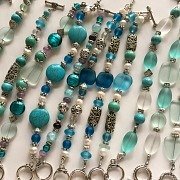 There are tours for everyone .......... lunch, sunset, eco, wildlife, shelling, exploration, sightseeing, and dolphin cruises. Then you have to decide whether you want to go sailing, airboating, cruising on a pontoon party boat, or something smaller and more private. 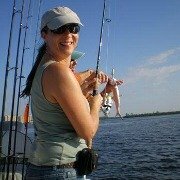 Many fishing charters and boat rentals also offer tours and cruises. 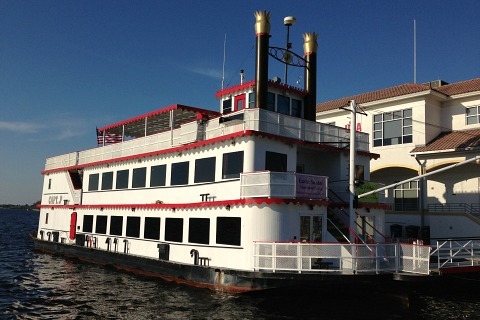 To cruise beyond local waters, Ft Myers Beach has their Casino Boat and the Key West Express. 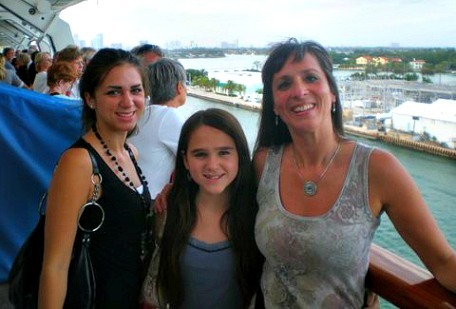 To go on Caribbean cruises, it's so easy and close by ........... cruises leave from Tampa, Ft Lauderdale, or Miami. 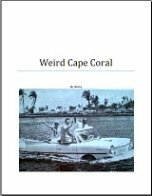 The first company I'm going to suggest for Cape Coral cruises is Banana Bay. They offer 4 different cruises daily that leave from Cape Harbour, they are proud to offer ethical eco tours. 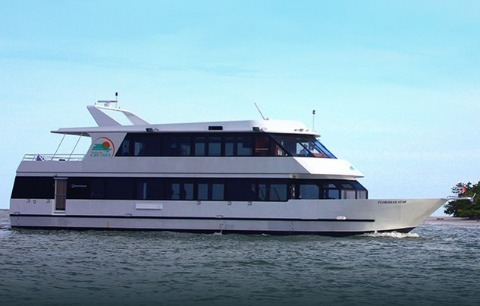 On their Eco, Dolphin, and Lunch Cruise you will see dolphins, osprey, egrets, and other wildlife while enjoying a delicious deli lunch for either 3 or 6 hours. The Dolphin Nature Search Cruise is perfect for the family, search for dolphins while learning about them, tour lasts 1 1/2 hours. 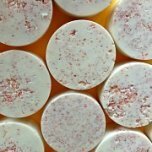 Relax and unwind on a Sunset and Dolphin Cruise, my favorite kind of cruise, we have such beautiful sunsets and the water is so nice this time of day, tour lasts 2 hours. On the Homes and Harbour Sightseeing Tour you will see beautiful luxury homes and yachts while cruising through Cape Coral canals, lasts 1 1/2 hours. 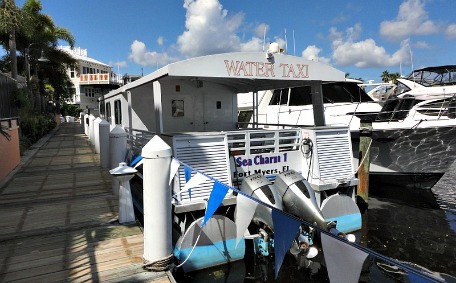 Banana Bay also has a water taxi to Ft Myers Beach on Tuesdays, Thursdays, and Saturdays. It leaves at 9:30AM and returns 3:30-4PM. 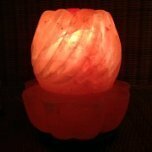 They will do group charters for businesses, schools, weddings, and parties. Catering, music, PA systems, and bathrooms are available. 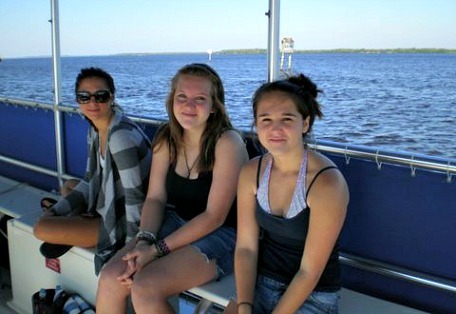 Cape Coral Sailing doesn't get better than Sail Cape Coral's 30' catamaran for half-day, full-day, or sunset cruises. We went on the sunset cruise and it was just glorious, very relaxing ....... we saw dolphins and a the most gorgeous sunset! You can go swimming and even kayaking from the boat. Bring snacks, there's a kitchen on board, as well as a bathroom. Captain Bud can pick you up at Cape Harbour, Tarpon Point, or Yacht Club Beach. 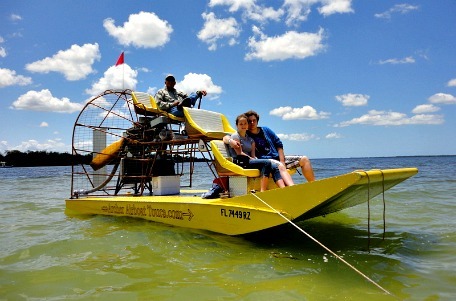 You simply must go airboating with Archer Airboat Tours Florida at least once while you're in Cape Coral. Captain Bobby leaves from D&D Marina in Matlacha and will take you for the ride of your life through Matlacha Pass and inlets around the Cape. You'll be able to see wildlife ........ including dolphins, manatees, fish, and shorebirds, while you cruise at different speeds ....... and you can even swim right in the middle of the Pass if you want! If you're lucky enough to be staying at the Cape Coral Westin at Tarpon Point, they offer sunset and dolphin cruises, and a boat taxi to Ft Myers Beach from Tarpon Point Marina. 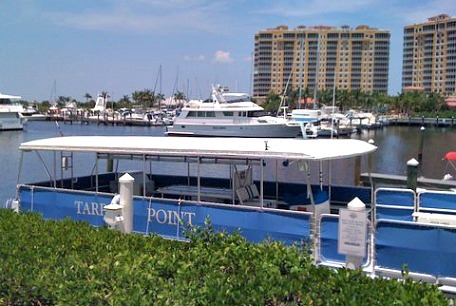 Luxury yacht cruises for public or private charter are also available at the marina through Floridian Star. 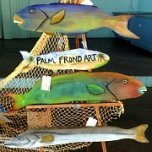 Go to Sanibel or Captiva for sunset, lunch, dinner, nature, sightseeing, or holiday cruises right from Tarpon Point! 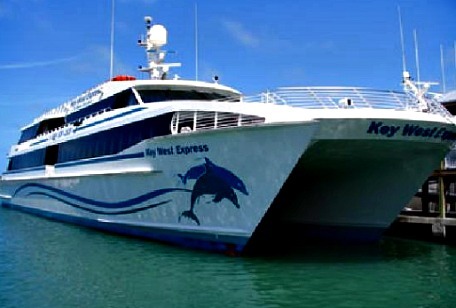 You can also take a cruise over to Key West from Ft Myers Beach on the Key West Express. Stay in Key West for the day, overnight, or longer. The Express leaves Ft Myers Beach year round on most days at 8:30AM and leaves Key West for the return trip at 6PM. The trip lasts about 3 1/2 hours. 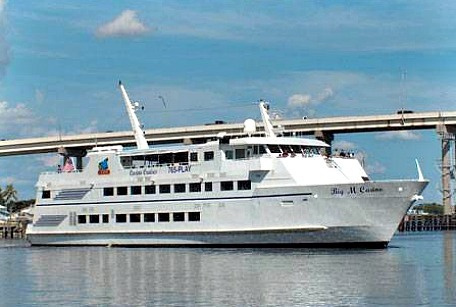 Ft Myers Beach also has a casino cruise aboard The Big M Casino Boat. It leaves year round from Moss Marine and features Vegas-style casino games, plus Bingo on morning cruises, an all-you-can-eat-buffet, and live entertainment on Friday and Saturday night cruises. Day cruises run from Wednesday - Saturday from 10:30AM-4:30PM, and Sunday from Noon-6PM. Evening Cruises run Friday and Saturday nights from 6-11:45PM. UPDATE NOVEMBER 2015: After 18 years, The Big M is no longer operating out of Ft Myers Beach, and will stay permanently in South Carolina. 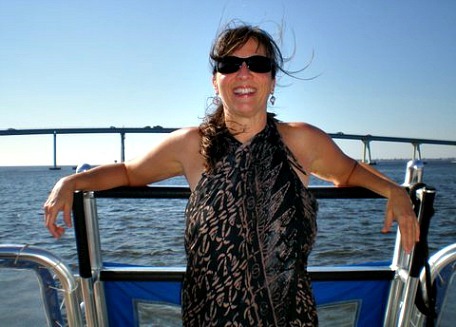 It's so much fun to take one of the River Boat Cruises offered by JC Cruises out of Fort Myers. I went on the Dinner and Dance sunset cruise on their paddle wheel boat which cruises on the Caloosahatchee ......... it was such a lovely evening! Last but not least, it's so easy to go on a Caribbean Cruise when you live in Southwest Florida. We are able to take advantage of last minute deals from cruise lines that want to fill their ships. We don't have to worry about flights, it's just a 2-3 hour drive to Tampa, Ft Lauderdale, or Miami. We went on a 5-day cruise one year right after Thanksgiving, we got a great deal on a cruise that went from Miami to Key West and Cozumel. 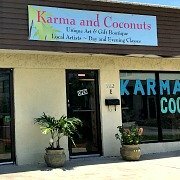 As you can see, we have many choices for Cape Coral boat tours and cruises in our area ........... relax, party, explore, or play on the water!